Are you a Freelance Crew Member? Interested in becoming a member of our new online booking site, The Crew List? Prefer to Find Your Own Crew? 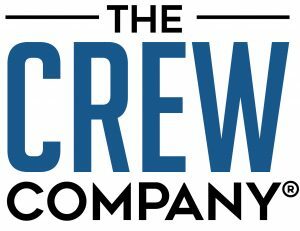 The Crew List is a new production site, designed and implemented by The Crew Company. The vision was for a clean, easy to navigate site that allows production professionals to not have to wade through ads, countless screens and “premium listing placements”. A simple site where one can quickly search, vet and book freelance crews directly from one central location. For one low, yearly maintenance fee, crew members list their profiles online in order to be booked directly. Many individual freelancers such as Camera Operators/DP’s, Audio Operators, Make-Up Artists, Producers, Production Assistants, and full-service companies have listed worldwide. If you come up short in your search – please give The Crew Company a call – The Crew List is SEPARATE and NOT our complete crew roster – we have almost every major city worldwide covered at The Crew Company. All negotiations, contracting, invoicing and payments are handled directly between the booking client and the crew member. Camera Crews Inc.,/The Crew List is not liable or involved in the production process in any way. For the booking user: It is free to search, contact and book crew members who are listed on the growing site, we only ask that if you are a Crew Company client, and have booked a member through The Crew Company in the past, and they are listed on The Crew List, that you continue to book them through The Crew Company, per your agreement.